Dawns Central Electronics Unit (CEU) contains the On Board Computer (OBC) and other electronics. 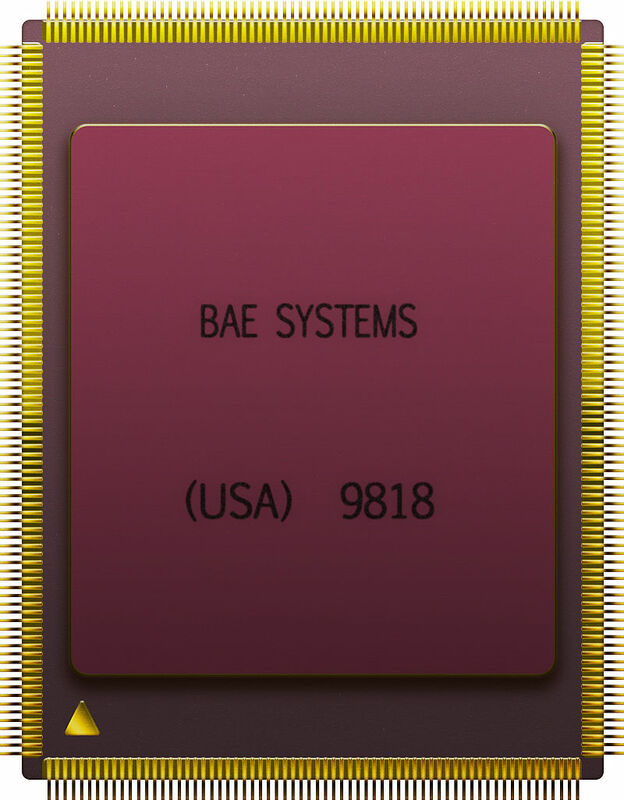 the OBC (and its backup twin) is powered by a BAE RAD6000 processor, running at 16.5MHz. 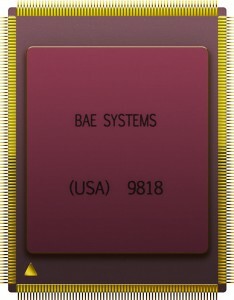 The RAD6000 is a radiation hardened version of the original IBM RISC Single Chip processor, a POWER derivative dating to 1992. The RAD6000 is running on VxWorks 5.2.1 by Windriver, which is the typical OS for the RAD6000 series, providing excellent real time control and reliability (rather important when you are a few million miles from the IT department). The OBC is of course not the only computer on Dawn, and perhaps surprisingly, not the most powerful. 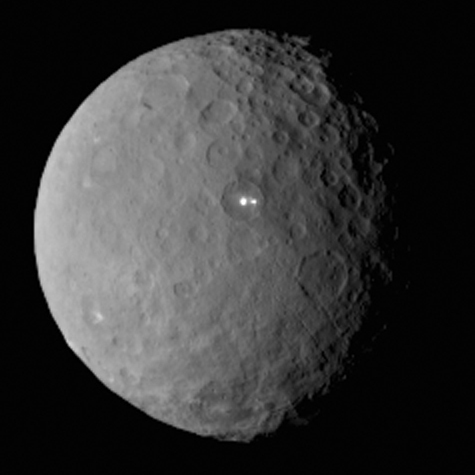 Dawn contains 3 scientific instruments, a Framing Camera (FC), a Visible and infrared spectrometer (VIR), and a Gamma Ray and Neutron Detector (GRaND). The FC is used not only for science but also navigation so is considered a mission critical component, thus there are two of them, one for a backup. The FC data processing is handling be a ESA designed LEON2 processor. The LEON2 is a SPARC-V8 processor, implemented into a Xilinx Virtex 600 FPGA and running at ~25MHz (20 MIPS). The VIR also uses the FC data processor for its data handling. The GRaND runs on a microcontroller made by UTMC (Aeroflex), most likely the 69R000 which is a 16-bit RISC microcontroller, essentially the RISC only version of the dual mode UTMC1750. Dawn has a few other subsystems as well. While the OBC can be powered down when not in use, the communications systems are not, the uplink cards (dual of course) are always on, providing telemetry and heart beat signals back to Earth. Each uplink card is powered by a UTMC 69R000 RISC microcontroller running at 12MHz. The redundant Attitude Control Electronics also contain a microcontroller for managing Dawn’s 12 attitude control thrusters. It takes a lot of processing power to sling $446 million of hardware to a couple icy rocks millions of miles away, but when those icy rocks can offer up some clues to how the Solar System was built, its likely a very worthwhile price to pay.